Renowned physicist James Van Allen, who helped launch the United States into the space age and for whom the Van Allen radiation belts are named, has died. He was 91. Interim University of Iowa President Gary Fethke announced the Van Allen's death Wednesday, but offered no details, the Des Moines Register reported. Explorer I, the first successful U.S. space venture, carried, at Van Allen's insistence, a small Geiger counter. 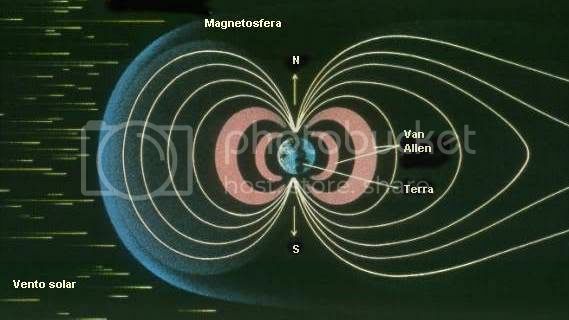 That led to a significant scientific finding: the discovery of two belts of intense radiation that surround the Earth. Although his scientific accomplishments were myriad, he opposed manned space flight: "Man is a fabulous nuisance in space right now (1959). He's not worth all the costs of putting him up there and keeping him comfortable." He once offered his own explanation of space: "It is that in which everything else is ... in other words, space is the hole that we are in." In 1951 Van Allen became a professor and head of the University of Iowa's Department of Physics and Astronomy, the Register reported. He held that position until he retired from teaching in 1985. Dr. James A. Van Allen, U.S. space pioneer and Regent Distinguished Professor of Physics in the University of Iowa College of Liberal Arts and Sciences, died this morning, Wednesday, Aug. 9, 2006 at the age of 91. Arrangements are pending. How cool it was to have such a tremendous discovery named after oneself.